As the Official Hangout for NCAA March Madness, Buffalo Wild Wings built a full-service, 8,000-square-foot sports bar inside the Final Four Fan Fest in Minneapolis, Minnesota. The sports bar served samples of wings in Medium and Asian Zing sauces, included an MVP room for fans to test their gaming chops, and a wrestling ring, which played host to the Tag Team Blazin' Challenge. After launching a new advertising campaign and unveiling a host of in-restaurant updates, Buffalo Wild Wings President Lyle Tick joined Cheddar to discuss what he called the "most ambitious change program" in the brand's history. "If you're going to watch sports and have a memorable experience, it's because of the environment and the people you're with. Buffalo Wild Wings – Why Work For Us? We're at the top of our game – and we want to keep it that way. So we’re constantly upping the ante, providing the ultimate experience for our fans. And, of course, it’s our people that bring that experience to life. We all work together to make this happen – whether we’re shaking wings in the restaurant or analyzing research at the Home Office. But don’t just take our word for it. Take it from the top: CEO and President Sally Smith – and some of our All Stars. Once you suit up, we’ll set you up for success – and give you the chance to play better than you ever have. That starts with training, so you can hit your stride right out of the gate. Want more? You’ve come to the right place. Here are just a few of the ways we can help your career take off. Hourly Team Member Training is led by our local all-stars – our Wing Certified Trainers. They’re pros at their jobs – and make sure new Team Members know the ropes. Becoming a WCT is a great first step into restaurant management. Shift Lead Training takes WCTs to the next level. Learn to head up a shift – and test drive the role of restaurant manager. Ready for more? Don’t worry. We’re just getting started. Manager in Training is all about running the business – learning the playbook inside and out. Led by our top-flight Training General Managers, graduates from this course step into their new leadership roles ready to handle anything. Benefit number one? Brag factor. You’ll be working for the hottest brand around – and having tons of fun doing it. What else is in it for you? A lot! Competitive pay, Team Member discounts, incentive contests, insurance options, flexible scheduling. It's even possible to get a deal on stock. The bottom line is we take care of our people. 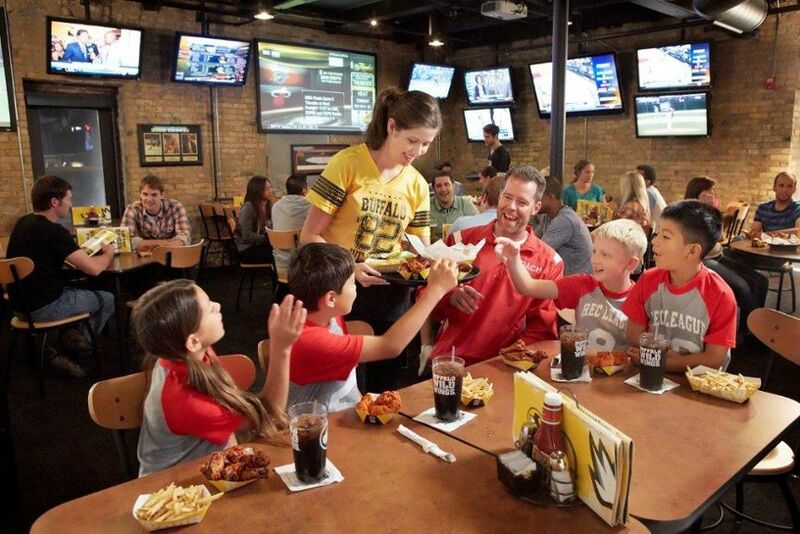 Join Buffalo Wild Wings – and get ready for a whole new ball game. It all started in 1982 with one restaurant in Columbus, OH. Since then we’ve grown to have a store in almost every state in the U.S. (sorry, Rhode Island) and continue to open B-Dubs® around the world (you’re welcome, Earth). 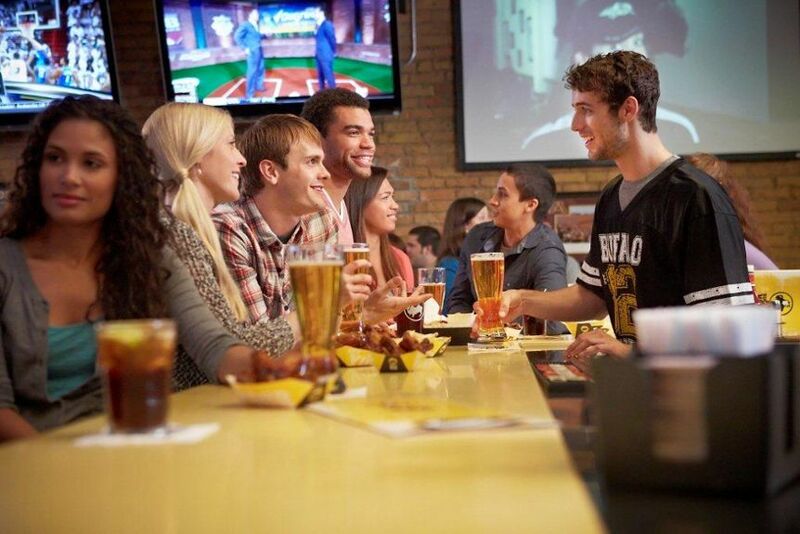 No matter how many locations we’ve opened, where our corporate headquarters are or how many years we’ve been around one thing remains the same: Buffalo Wild Wings® is the ultimate place to get together with you friends, watch sports, drink beer and eat wings. There you have it. If you love wings, beer and sports like we do, then this is the place for you. If you don’t like any of those things... we still might havesomething you’d like. THERE IS A CHAMPION IN EVERY CHILD. WE ARE COMMITTED TO HELPING BUILD COMMUNITIES WHERE ALL KIDS CAN THRIVE, COMPETE AND BELONG TO A TEAM. Playing sports is about igniting a passion, belonging to a team, responsibility, working together to accomplish a common goal and building self-esteem through a great play. It’s about celebrating a victory with the team, and also about displaying good sportsmanship after a heartbreaking defeat. We believe every child should have the opportunity to learn the life lessons that are experienced through participating in sports, and build the skills that will help them thrive and compete in life. That’s why we’re committed to helping all kids have the opportunity to play on a team. Our commitment to helping make our communities a better place to live, work and grow has been a part of who we are for the past 30 years. Since our first restaurants opened in Ohio, we’ve supported local community and school sports teams. Over the years, Buffalo Wild Wings, our franchisees and our Guests have given millions of dollars to local teams, local community and school organizations and to supporting those in need. 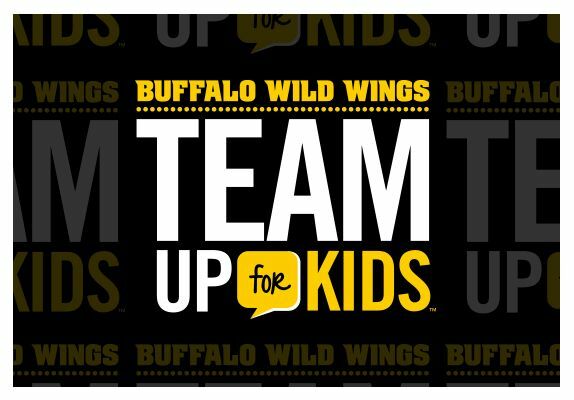 Thank you to all Buffalo Wild Wings restaurants, Guests, Home Office Team Members, and vendor partners who came together in August to raise $442,185 for our Team Up for Kids initiative in support of Boys & Girls Clubs of America! From Aug. 5 – Sept. 1, $412,304 was raised through in-restaurant donations from our Guests, helping us “bring sports to the lives of kids who need it most”. As a result of the dollars generated through pinup sales, we will create more than 1,700 additional youth sports teams as part of our Team Up for Kids initiative. GIVE A LITTLE GOOD. TASTE A LOT OF GREAT. Buffalo Wild Wings is teaming up with Boys & Girls Clubs of America (BGCA) to help build great futures for kids who need it most. In 2013 for every bottle of our award-winning sauce or signature seasoning you buy, we will donate 50¢ to BGCA. We’ve got 16 crave-worthy sauces and five savory seasonings that make our famous wings a fan favorite. But why stop at wings? Our sauces and seasonings make great additions to burgers, sandwiches, dips and more. Spice up your condiment collection, spruce up your spice drawer, or give someone the perfect gift – all while helping a good cause. We’ve already contributed $150,000 and in conjunction with this program we will donate an additional guaranteed $450,000 to BGCA in 2013. Our goal is to give $1 million by 2015. 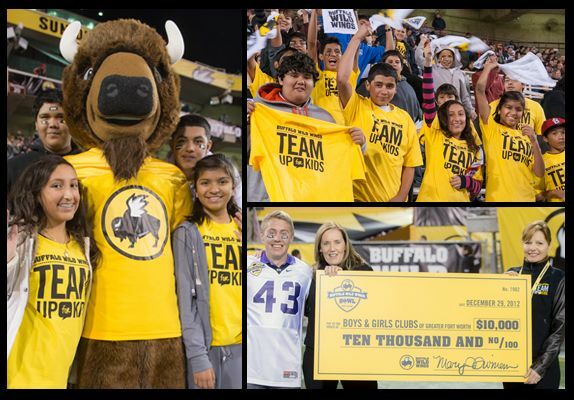 Buffalo Wild Wings is proud to announce our new partnership with Boys & Girls Clubs of America (BGCA). Together, we can help fulfill our vision to Team Up for Kids and bring sports into the lives of kids who need it most. We share a commitment to helping kids build great futures through experiencing healthy lifestyle choices like participating in team sports. Boys & Girls Clubs of America believes that living a healthy, active lifestyle helps young people develop strong character and build social competency skills. 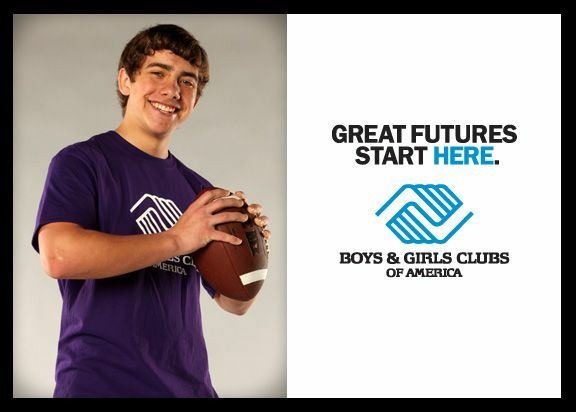 Through our $600,000 commitment in 2013, BGCA will enhance and create opportunities for 1,600 flag or tackle football teams and cheerleading programs across the country. The partnership will also include education and training programs for 5,000 adult Club staff and volunteers to help emphasize the positive life lessons learned through team sports. We expect to raise more than $1 million over the next two years through donations from sauce and seasoning bottle sales and fundraising activities in our restaurants. Buffalo Wild Wings' goal is to continue to expand the team sports programs at Boys & Girls Clubs across the country to help build strong character, fitness and life skills. We're striving to support Boys & Girls Clubs in communities across the country. At our inaugural Buffalo Wild Wings Bowl in Tempe, Arizona, we took the opportunity to bring a little fun into the lives of kids at Boys & Girls Clubs of the East Valley. We had the honor of bringing 400 kids and their families to the game, and our mascot, Blazin' Bill, visited clubs leading up to the game along with giant jerseys from TCU and Michigan State. Our Tempe area restaurants supported their local Boys & Girls Clubs with a donation of nearly $7,000 from our Eat Wings, Raise Funds™ events in our restaurants on game day. And, during the Buffalo Wild Wings Bowl game, the lucky winner of the half-time competition was rewarded with a $10,000 donation in his honor to his home-town Boys & Girls Clubs of Greater Fort Worth. Helping feed dreams and build futures through our Buffalo Wild Wings Founder’s Scholarships. Buffalo Wild Wings is dedicated to sharing our passion and helping those within our industry by supporting the ProStart program. 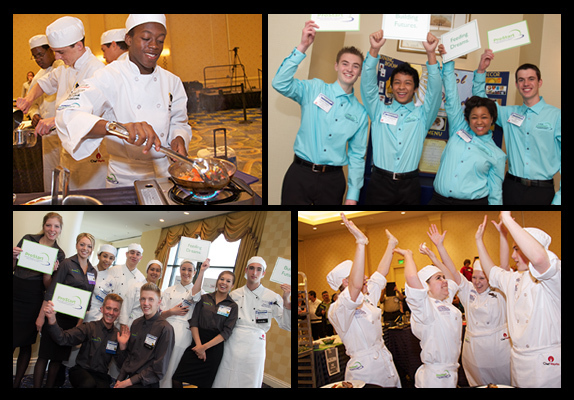 ProStart reaches more than 95,000 students in 1,700 high schools across 47 states, Guam, and U.S. military bases. This year, we donated $75,000 to help promote, educate and develop high school students to be future leaders in the hospitality industry. In addition, to help the dreams of Minnesota students come true, we provided two $2,500 Buffalo Wild Wings Founder’s Scholarships to high school seniors that are pursuing careers in the culinary field. I interviewed at Buffalo Wild Wings (Franklin Furnace, OH) in March 2019. Glassdoor gives you an inside look at what it's like to work at Buffalo Wild Wings, including salaries, reviews, office photos, and more. This is the Buffalo Wild Wings company profile. All content is posted anonymously by employees working at Buffalo Wild Wings.